This past weekend, as top bartenders and sturdy livers from around the country were gathering for Portland Cocktail Week, news came out of Seattle that legendary bartender Murray Stenson has a heart ailment and is in need of costly medical attention, including heart surgery and the attendant recovery process. Like most bartenders, Stenson does not have medical insurance. 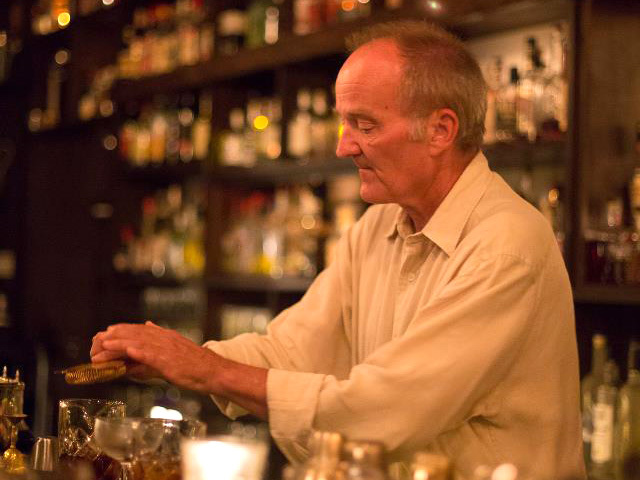 As a result of his condition, Stenson is unable to work behind the bar, as he has done for over three decades at acclaimed bars such as Zig Zag Cafe and, since October 2011, Jamie Boudreau’s Canon. As word quickly spread, a MurrayAid Facebook page was set up by Stenson’s longtime friend, Evan Wallace (Perlage Systems). PayPal donations started pouring in, initially through the Facebook page and then a dedicated MurrayAid website. Stenson has asked Wallace to be the trustee of the PayPal donated funds, which reached over $21,500 at the 48-hour mark, 8pm Pacific on Monday, October 22nd. 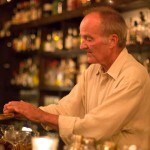 Stenson’s influence goes far beyond his resurrection of The Last Word; Left Coast Libations author Ted Munat describes Stenson as “the living embodiment of what a bartender can, and should, mean to a community.” From articles in the New York Times to Imbibe, perhaps no one has written about Stenson more than Paul Clarke. For a sense of what Stenson means to so many people around the world, start with Clarke’s heartfelt appreciation at The Cocktail Chronicles blog. On Tuesday, October 30th, Caña Rum Bar is hosting a MurrayAid fundraiser from 9pm to close. Caña GM Allan Katz and his crew will be serving up a menu of classic cocktails, with all sales going to MurrayAid. Katz is also donating Caña’s membership sales for the week to the Murray fund.